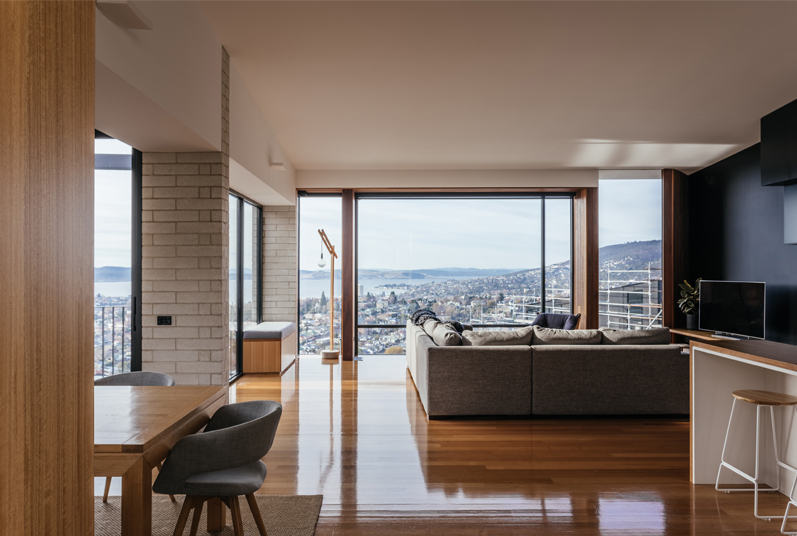 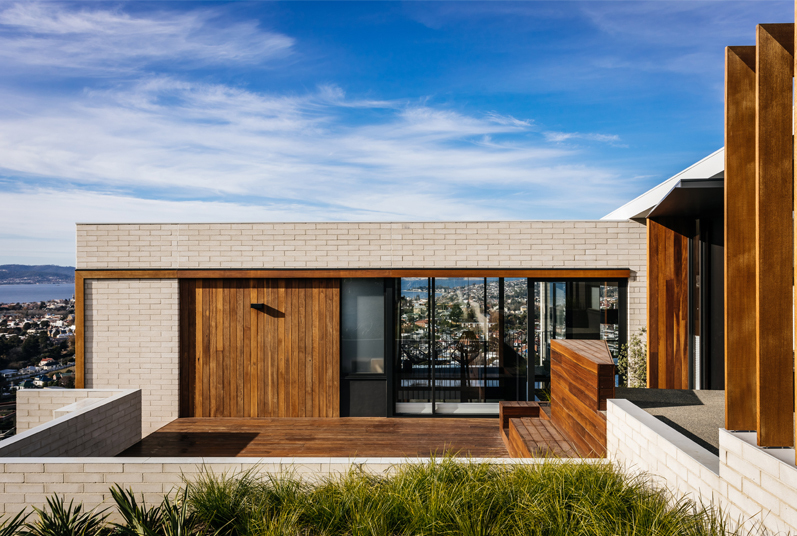 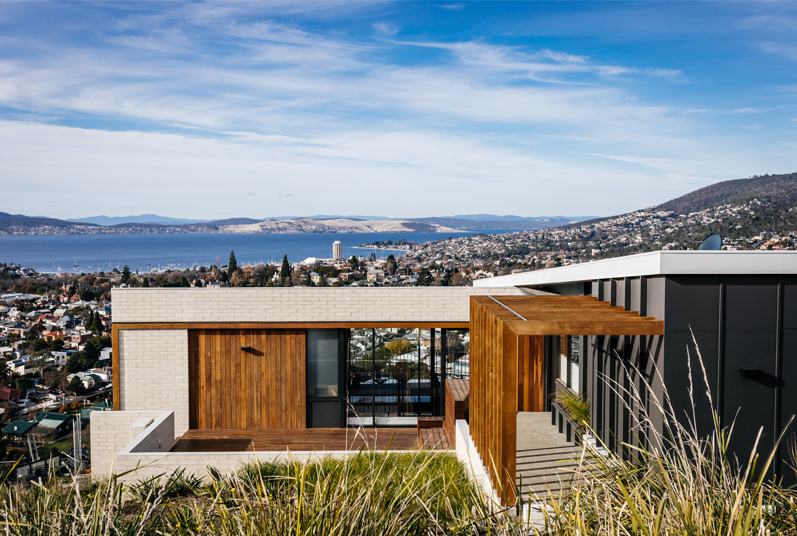 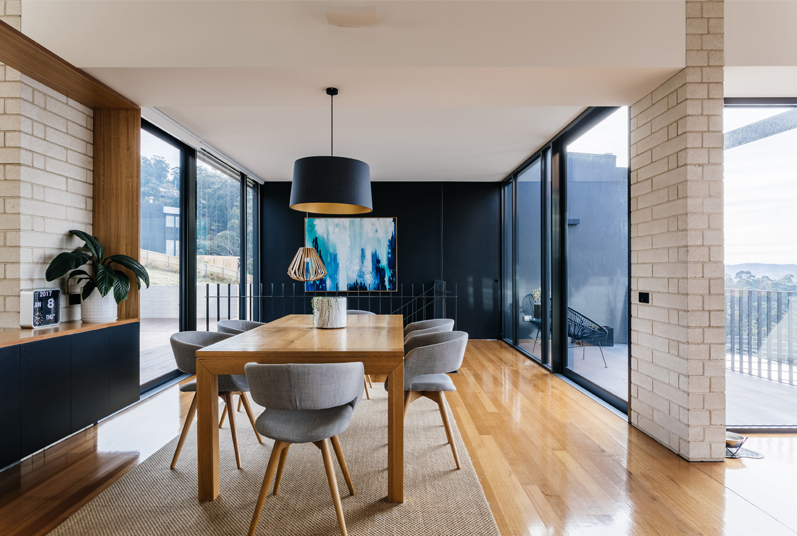 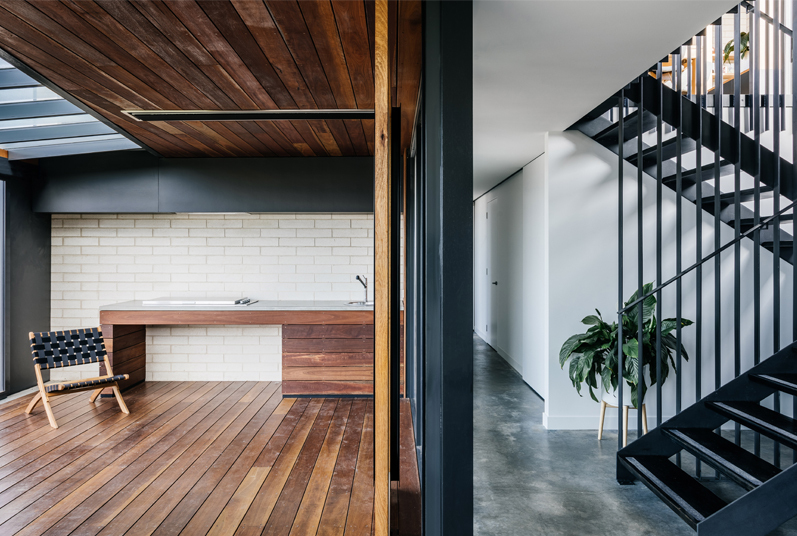 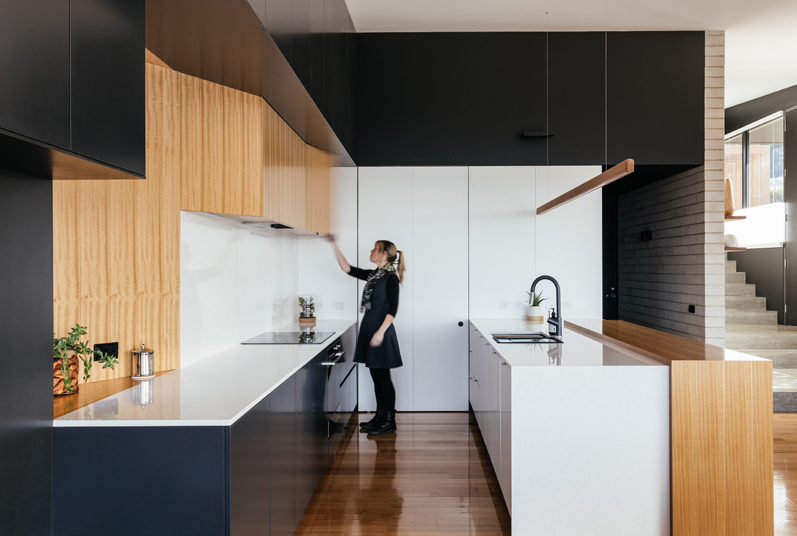 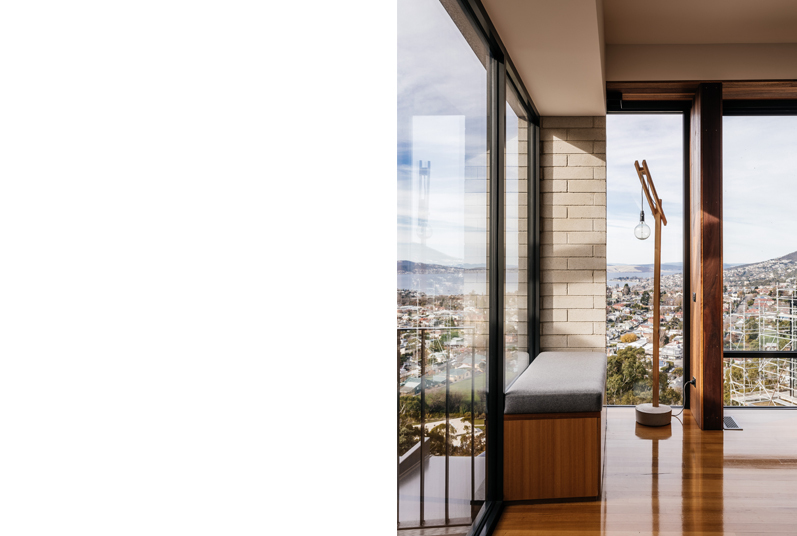 Set on a windswept site in the suburb of West Hobart, the building steps down the slope, taking in the expansive views of the city and River Derwent beyond, whilst providing sheltered outdoor spaces which circulate the home for enjoyment throughout the day. 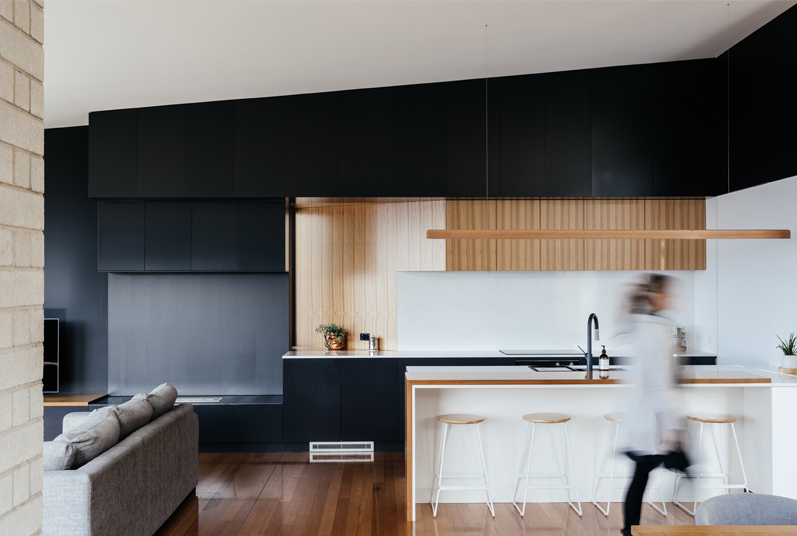 A neutral material palette has been provided both inside and out. 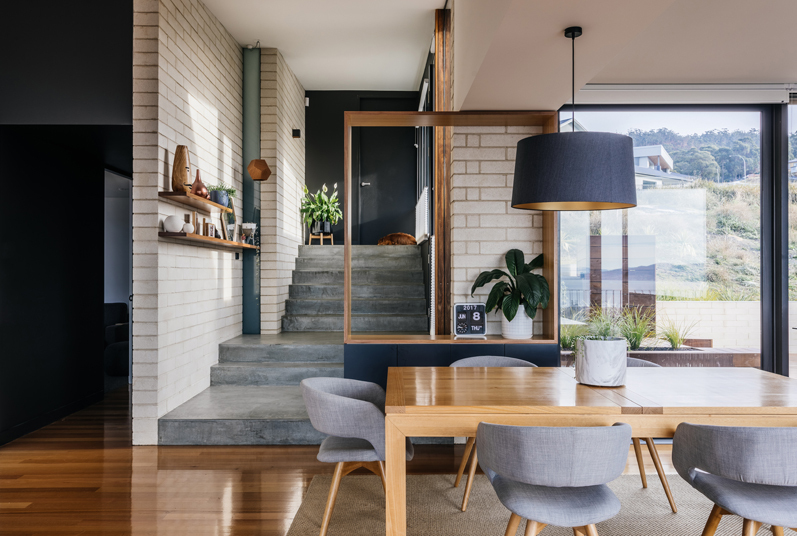 A masonry base, acts as a cradle for the home to sit, enabling a lightweight structure to sleeve into. 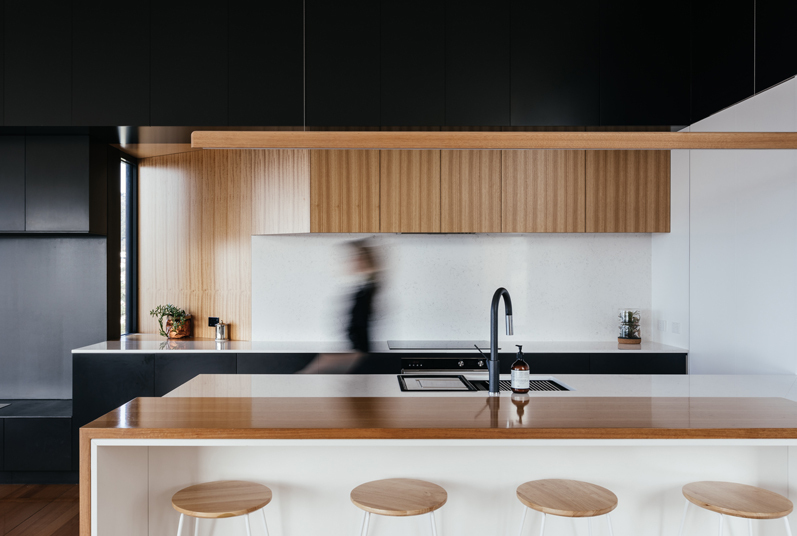 Lightweight forms are detailed and incorporate timber and textured elements, providing more tectonic qualities for user interaction.